I am Jaap Scherphuis, and this is my website. I maintain several sub-sites here about things that interest me. 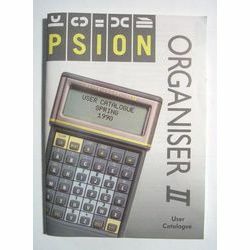 Everything about the Psion Organiser series II. My small collection of mechanical calculators, e.g. 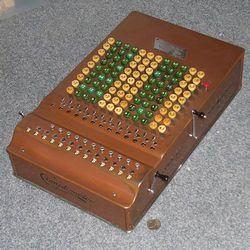 Comptometer, Curta. 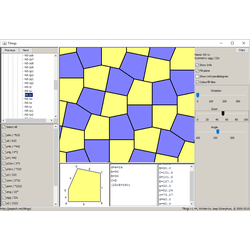 My research into periodic tilings that use a single polygon tile. Exchange gifts, papers, and talks for the G4G conference. 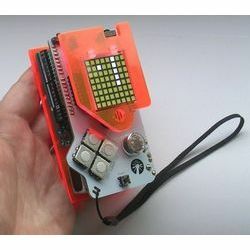 A simple programmable game computer by TWSU based upon an Arduino. 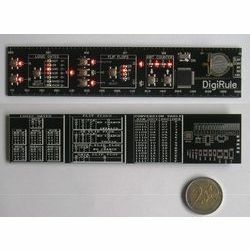 DigiRule is a programmable binary ruler, from a Kickstarter project by Bradley Slattery. Here are a few other bits that don't have their own pages. 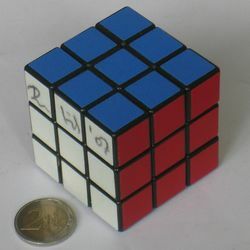 Rubik's Cube Scrambler for any size cube. Sudoku generator. Fast generator/solver for various sudoku variants. A Java applet. My YouTube channel. Some of the videos are related to the subjects above, but most are magic tricks that I have invented. Ever-increasing Beat is a quick demo of an auditory illusion used in the score for the movie Dunkirk. Here (600K wav file) is a voicemail message someone left on my mobile phone some time in 2002. It is in a kind of German, and rather funny. I have an old nokia phone (6021), and have written programs for it. To install a program on a Nokia you need the PC Suite software. Twister.jar, Twister.jad, Source Code. 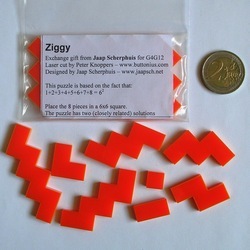 Puzzle game, like a 2d version of the Rubik's Cube. Written by Jaap Scherphuis, website a t jaapsch d o t net.